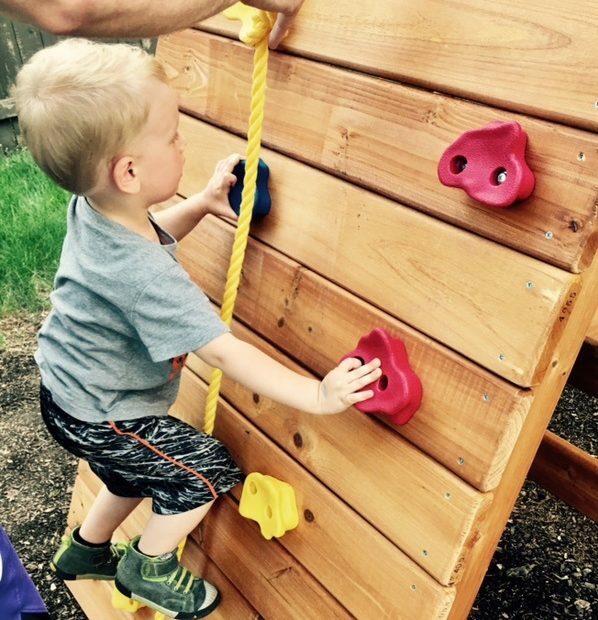 Addilynn and Alexander were thrilled when their parents got them a fabulous swing set with a climbing wall! What could be better? I know in a matter of weeks Alexander will be doing this by himself. But, for right now, he needs a little help. Have you ever felt that way in your life or business? You could use just a little help right now? You know you’ll be ok in the future but, for right now, you need some help. Where could you use help? Please don’t be afraid to ask. That’s the issue. So often we struggle along on our own only to find if we had just asked – we’d be much further than we are right now. In 2011, I started looking back at my life and all I had learned. I started typing up the stories associated with the events and lessons learned and it became something I am very proud of – The Confidence: Now is Your Time – 30 Days to a More Extraordinary You book. This book has helped many give themselves the permission to be who they were created to be. Just a little help – that’s all you need! The answers are in this book. Get one for yourself and one for a friend!